What are some of the most popular places to visit in Georgia? What is Georgia known for? Georgia is a state located in the southeastern United States, bordered by Tennessee and North Carolina to the north, South Carolina to the northeast, Florida to the south, and Alabama to the west. Georgia has a coastal border on the Atlantic Ocean. Georgia is a southeastern state situated within the coordinates 32.9605° N, 83.1132° W. Georgia's total area spans 58,910 square miles, composed of 58,056 square miles of land and 158 square miles of inland water. Georgia is bordered by Tennessee and North Carolina to its north, South Carolina to the east, Alabama to the west, and Florida to the south. Georgia also borders the Atlantic Ocean to the east. 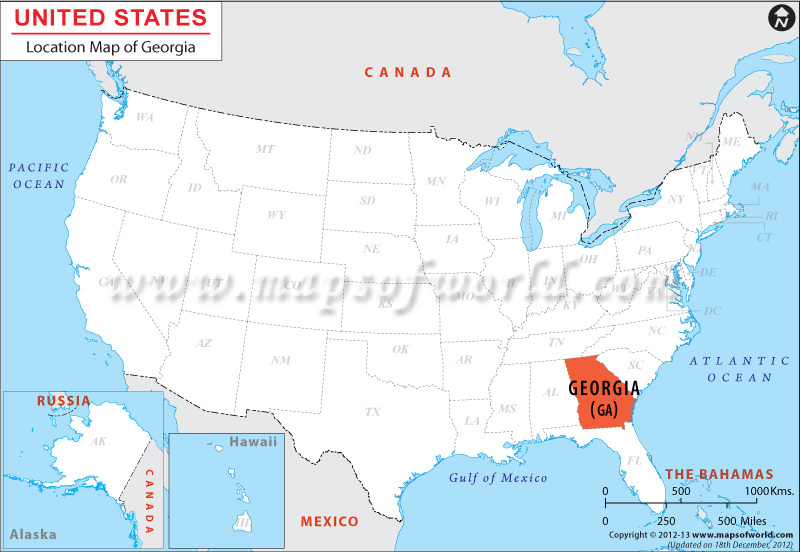 The total length of Georgia's boundaries is 1,039 miles.